For years, Zimbabwe’s longtime president Robert Mugabe has looked East for valuable Chinese investment to bolster his country’s sinking economy. But as China's economy slowdowns, Zimbabwe may soon need a new savior to protect it from a rising wave of debt, unemployment, famine and economic recession. Mugabe, who has seen Zimbabwe’s economic growth expand and contract since taking power in 1980, outlined reforms to parliament last week that promised to attract more investment and create jobs. He cited key projects with China in energy, railways, telecommunication, water, mining, agriculture and tourism sectors. Mugabe, 91, also said he welcomed re-engagement with the West and multilateral financial bodies like the International Monetary Fund and the World Bank, as Zimbabwe seeks to mend relations with lenders and secure fresh capital to revive its economy after years of alleged human rights violations, Reuters reported. But China’s devalued yuan has caused commodity prices to dip and the Chinese have refrained from committing to large new investment in Zimbabwe. Mugabe returned from a visit to Beijing last year with few commitments for additional aid or investment, while Chinese and other Asian shares fell again Monday as global concerns about the health of China’s economy continued and hit markets around the world. Other international lenders have also rejected Mugabe's loan requests due to outstanding arrears. The Zimbabwean government currently owes the International Monetary Fund, the World Bank and other lenders about $9 billion. International sanctions against Zimbabwe over Mugabe’s alleged electoral fraud and human right’s abuses have exacerbated the country’s financial woes. Mugabe won his seventh term as president in 2013 in a disputed election amid claims of election fraud. Over the years, the Zimbabwean government has been accused of political violence, unlawfully evicting scores of residents, violating the rights of LGBT people and suppressing basic freedoms. Zimbabwean police have been accused of using excessive force and wrongfully arresting opposition and civil society activists, according to a recent report by Human Rights Watch in Washington, D.C.
Mugabe’s policies on land reform and black economic empowerment in 2000, which ordered the takeover of white-owned farms, have also comprised economic growth and deterred investors. The land reform program led to an economic crash in which agricultural production slumped 73 percent, unemployment rocketed to over 90 percent, inflation soared to 250 million percent and the population was living on just $2 per day by 2008. At the same time, Zimbabwe’s gross domestic product (GDP) was estimated to have contracted by a total of 50.3 percent between 2000 and 2008. 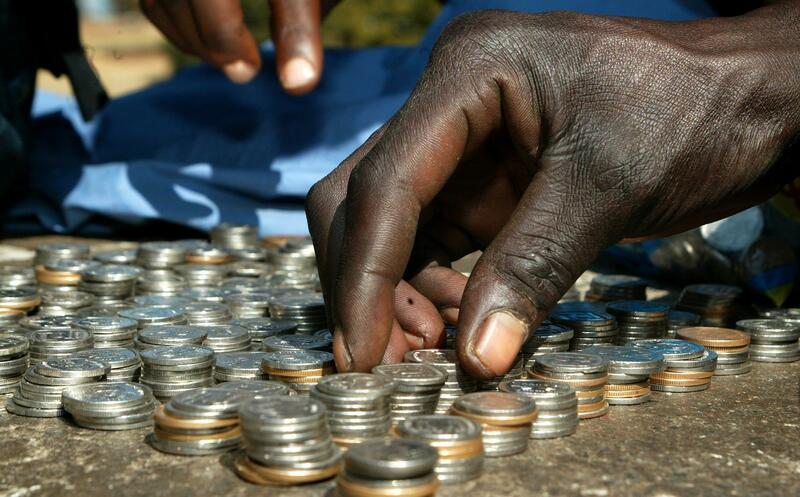 Zimbabwe is still wheeling from the catastrophic recession, in part because the government failed to increase transparency in diamond production and revenue collection, which has affected its ability to invest in essential public services like water, education, sanitation and health. The volatile commerical climate has dissuaded further investment and loan commitments across East and West, experts said. 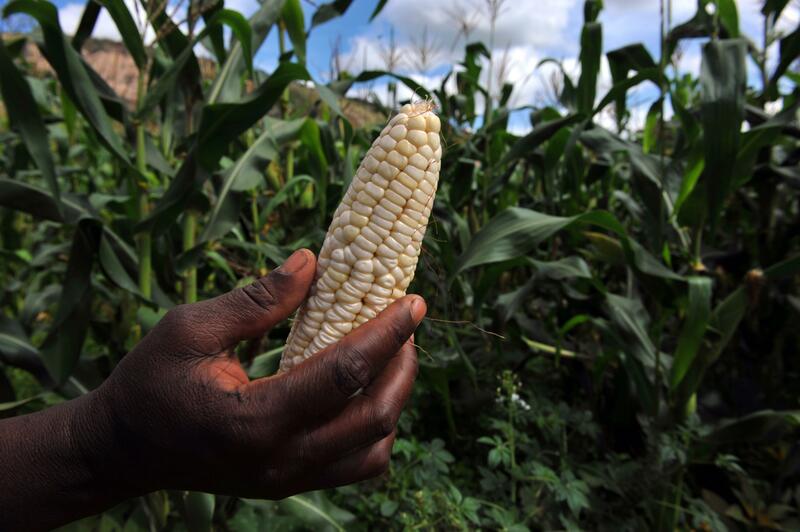 After the worst regional drought in nearly a decade and devastating crop failures, Zimbabwe’s 2015 harvest is forecast at 950,000 metric tons of corn, which is far less than the 1.8 million metric tons the population needs. Around 16 percent of Zimbabwe’s population will lack reliable access to sufficient food later this year, according to the United Nations World Food Program. The southern African country now plans to pay $168 million to import 700,000 tons of white maize this year to feed those facing famine in the coming months. More than 200,000 workers have lost their jobs in Zimbabwe over the past few weeks and the country’s earlier 3.2 percent economic growth forecast for 215 was slashed to just 1.5 percent in July, according to Reuters. In a 10-point plan for economic growth, Mugabe last week vowed to boost agricultural development, private sector investment and to tackle corruption. He also agreed Sunday to relax his controversial land reform program to attract more investors. However, survey results released last week by the Mass Public Opinion Institute in Zimbabwe’s capital Harare indicated the general public thinks the country’s economic conditions remain “gloomy” and they don’t believe in Mugabe’s promises of an economic revival. China has long been Zimbabwe’s biggest economic partner, with bilateral trade totaling over $1 billion annually. Zimbabwe, rich in mineral resources, is within the top 10 destination countries for Chinese direct investment in Africa, according to a research paper published this month by the Brookings Institution think tank in Washington, D.C. China has provided Zimbabwe with low-interest loans and investment focused on mining development, agriculture, infrastructure projects and information communication technology. While most Western leaders have shunned Mugabe, Chinese President Xi Jinping has hailed the Zimbabwean president as “an old friend of the Chinese people who we respect very much.” But Chinese investment to Zimbabwe is dwindling as Beijing braces for an economic slowdown. Without fresh capital, the Zimbabwean government will struggle to maintain vital public services and afford basic expenses, such as civil service salaries, experts said. 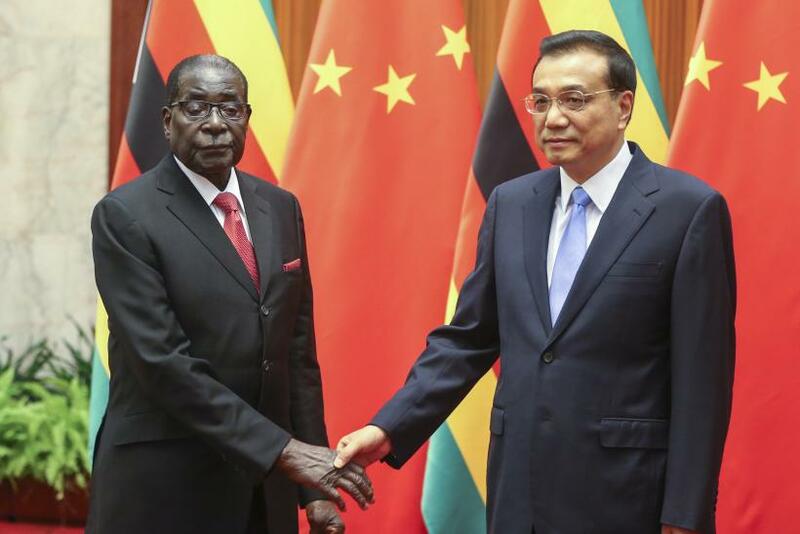 Even with China's help, Zimbabwe’s economic climate is unlikely to change under Mugabe, who has insisted he will run again in 2018 and warned his ruling Zimbabwe African National Union-Patriotic Front (ZANU-PF) against choosing any successor.